The delegates of Welcome to Palestine International Mission visited Wahdat Refugee camp, the largest Palestinian Refugee camp in Amman (Jordan). 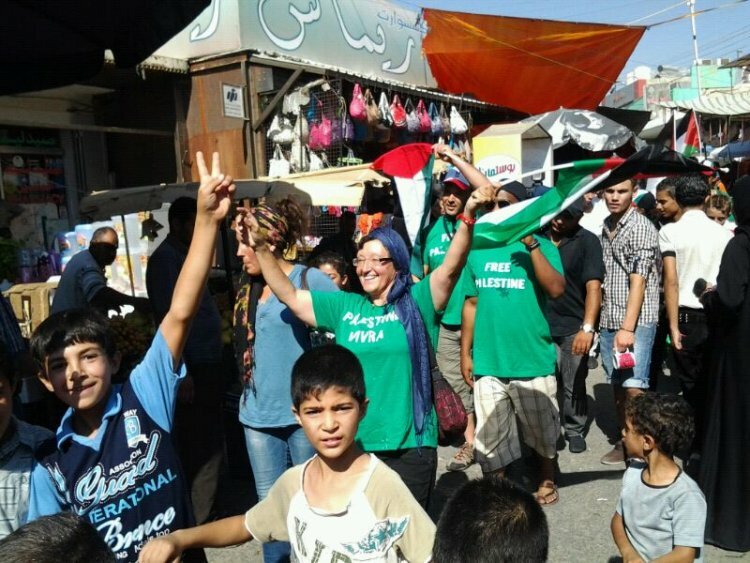 The Palestinian refugees warmly received the Welcome to Palestinian activists emphasizing on the importance of International solidarity missions. 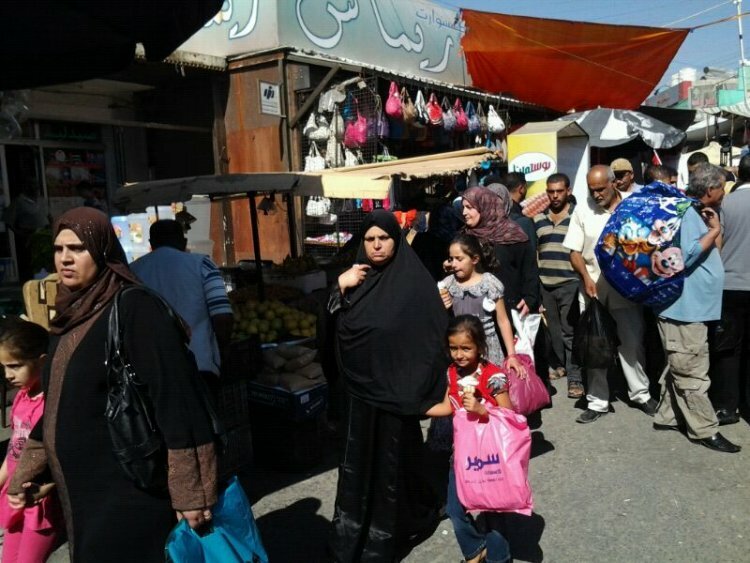 Wihdat refugee camp, is one of four camps set up after 1948 to accommodate Palestine refugees who were dispossessed from their homes and lands as a result of the creation of the State of Israel. The camp was established in 1955 on an area of 0.48 square kilometres, southeast of Amman. The total population today exceeds the 100.000 inhabitants. 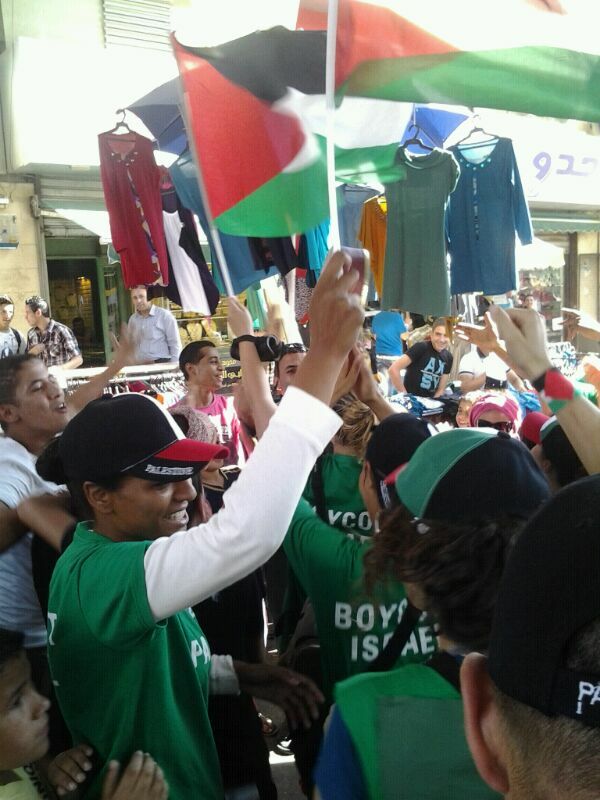 Palestinian children and adults applauded to Welcome to Palestine delegates who are wearing the “Fee Palestine”, while the local press continues demonstrating a keen interest in the mission. The volunteers of the mission were warmly received by representatives for the Popular Committee of Wahdat Camp. The activists were informed about the various activities carried out by the camp’s committee, for example, the Football Palestinian National Team in Jordan.